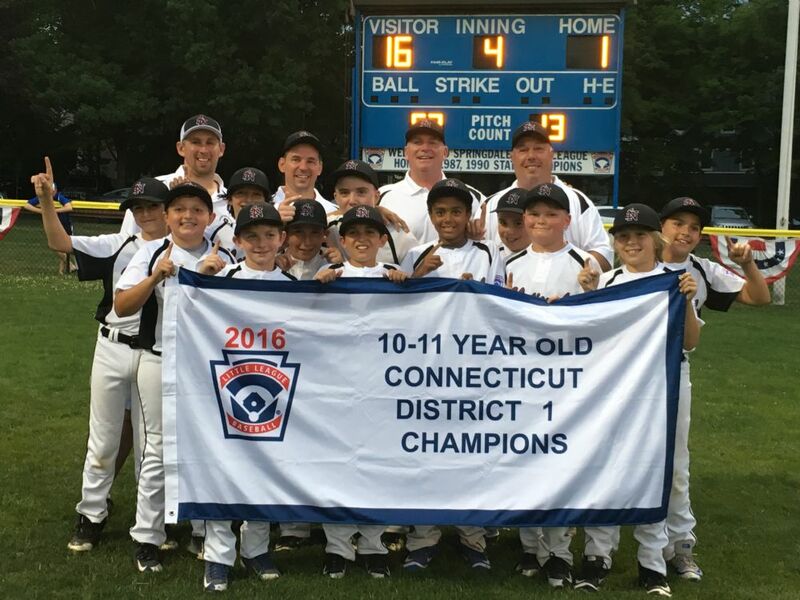 11s winning the District 1 Championship! All-Star Voting will take place during the week of May 30 and will be administered by the League Player Agents. Player must provide name on his ballot. Player is only permitted to vote for 2 kids per age group (4 total) from his own team. Managers/coaches are not bound by this restriction. Player is NOT permitted to vote for himself. The total player vote will count for 50% of the total vote. Each Majors manager and up to 2 assistant coaches (chosen by the manager) votes for up to 12 players for each team (12’s and 11’s). Each manager/coach must have submitted a volunteer form and been approved as a SNLL volunteer to be eligible to vote. Manager/Coach must provide name on his ballot. The total manager/coach vote will count for 50% of the total vote. Top 8 vote-getters will automatically be placed on their respective teams. The All-star manager will select remaining players to complete the team. These selections may be made from any remaining eligible players who were not automatically placed on the team. The roster shall include a minimum of 12 players. A maximum of two 9/10’s per team form the AAA division. Each manager from AAA will nominate a maximum of 2 players to be considered for the evaluation. The selection committee shall review and approve these nominations prior to the players being invited to the evaluation. A selection committee of five members (not including the manager) shall observe the evaluation and vote on the top 12 players. The All-star manager will select the remaining players to complete the team. These selections may be made from any of the remaining eligible players who were not automatically placed on the team. Eligible players must have been invited and participated in the evaluation. The roster shall include a minimum of 12 players. 12s winning the District 1 Championship! Stamford National Little League was formed from the merger of two Stamford Little League teams, Stamford National Lione and Stamford Federal.